Anritsu has released three new software packages to enable its Universal Wireless Test Set MT8870A to be compatible with IEEE 802.11ax test specifications. The new packages are the WLAN 802.11ax Tx Measurement MX887033A and WLAN 802.11ax Waveform Files MV887033A for evaluating IEEE 802.11ax devices, along with a Full Automatic Measurement Program. Installing these packages in the MT8870A offers the first turnkey system for production-line testing of IEEE 802.11ax standard-compliant devices with the world’s fastest fully automated testing of RF TRx characteristics for up to 16 devices simultaneously. The Full Automatic Measurement Program eliminates the need to develop customer control programs, helping increase productivity and cut costs. 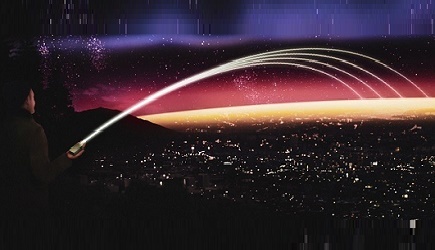 IEEE 802.11ax is a next-generation WLAN standard developed to improve average data throughput in locations with high client device densities, such as offices, sports stadiums, rail stations, etc. It is currently under review by the IEEE 802.11ax Task Group (TG), targeting release as an international standard in 2019. As the key markets for the IEEE 801.11ax standard are mobile terminals, it is expected to see widespread adoption by smartphones, tablets, AR/VR equipment and automotive. However, since these products also support cellular standards other than WLAN, effective testing of both WLAN and cellular functions is a key issue for equipment vendors. 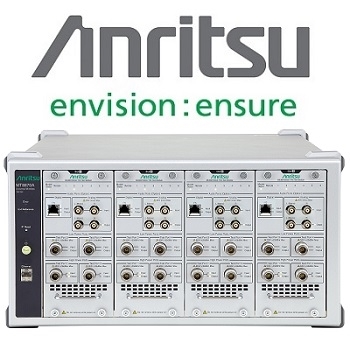 Anritsu already offers its Universal Wireless Test Set MT8870A as an automatic test solution for cellular device production lines, supporting the WLAN IEEE 802.11a/b/g/n/ac/p measurement standards and adding this new support for IEEE 802.11ax will play a key role in providing an efficient measurement solution for all WLAN standards. The Universal Test Set MT8870A is targeted at production-line measurements of various wireless equipment and modules. Four high-performance test units are installed in the main frame and each of these four units supports fully independent parallel simultaneous measurement of up to four wireless devices. Click here to learn more.